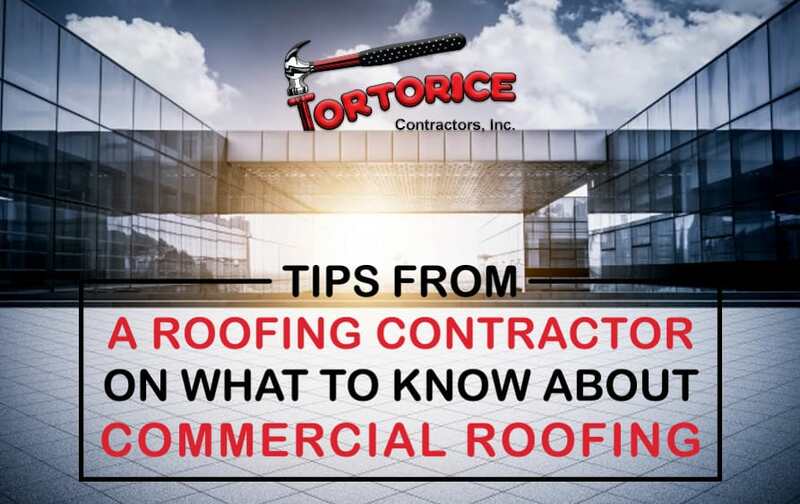 Tips From a Greentree Roofing Contractor on What to Know About Commercial Roofing - Tortorice Contractors Inc.
Gone are the days when roofing was only done by a few people. These days, there are numerous Greentree roofing contractor companies that have come into the market to address various aspects of roofing. Commercial roofing has recently gained a lot of momentum because of the increased number of commercial construction taking place within cities, towns, and neighborhoods. Given this fact, new buildings are coming up every day and the demand for commercial roofing has certainly gone up as more property owners are seeking to engage with commercial roofing contractor experts. The introduction of new technologies has marked a major shift as the industry is increasingly embracing new technologies, in order to improve the overall quality standards and boost safety. Just like residential roofing, commercial roofing also needs adequate preparation. For starters, your major concern should be to research and find a qualified professional who you can work with closely to ensure your roofing project is a success. When looking for a roofing expert, you must find a reputable individual or company who has vast experience in dealing with different and complex commercial roofing projects. Whether you intend to put a new roof on your commercial building or repair an existing one, using caution is mandatory because commercial roofs are complex in nature and therefore every step of the process must be strictly adhered to. When preparing to embark on a commercial roofing project, you need to take into consideration the following issues and discuss them with your roofing contractor in Greentree. Different types of businesses have varied commercial roofing requirements. When picking a commercial roof it must match the needs of a building and not only shield a building from external elements but also offer high standards of safety. Unlike residential roofs, commercial roofs are sometimes exposed to very high temperatures and chemicals so care has to be taken when making a decision. Installing commercial roofs is an expensive affair and you need to have comprehensive discussions with your roofing provider to make sure they do extensive technical evaluations and plenty of site visits. As mentioned earlier, every business has its own unique needs when it comes to the most appropriate roofing types. There are numerous factors that have to be considered before finally deciding on the type of roof to build. If you are looking for some inspiration about what types of commercial roofs are currently found on the market the internet should be your first stop. While a Greentree roofing contractor must approve of the roofing type, it doesn’t hurt to satisfy your curiosity and research more about commercial roofs. When choosing a roof for your business one of the most important things to look for is the kind of features the roof has. Features play a key role in any large-scale roof because they have a direct impact on quality, performance, and safety. Commercial roofing is an expensive project and businesses spend a substantial amount in order to get a quality roofing solution. Because of the high nature of costs and complexities associated with budgeting, the process of budgeting is often lengthy and involves a lot of processes and consultations. To get a good roof for your business, you need to prepare yourself financially in advance. One way of ensuring you have an accurate roofing budget for your business is to call a Greentree roofing contractor for a quote which you can then use as a guide. When considering your budget, it is wise to know your budget range in advance to give yourself adequate time to prepare for the project. Remember, your budget provision should be adequate to cover all the expenses associated with the roofing exercise while ensuring that safety and quality are upheld. Commercial roofing requires a lot of top-notch skilled professionals and modern technology to ensure there is compliance with the set standards. It is important to find a reputable roofing contractor who has invested heavily not only in equipment, but the latest roofing technologies as well. With the latest technology and equipment on site (coupled with the right manpower), you can be assured your roofing project will be successful. We are now living in a digital era where technology is practically changing on a daily basis. The global roofing industry has become very competitive thanks to emerging technologies that have continuously leveled the playing field in the industry. Established contractors are always working around the globe to ensure the best technologies are harnessed for the client’s benefit. Given their intensive nature, commercial roofs demand sufficient manpower to be able to execute the project within the agreed timeframe.